Authors: Lam, P., Dennis, S., Diamond, T., & Zwar, N.
This community based, randomised control trial assessed the effects of a modified Tai Chi program for people with poorly controlled type II diabetes. It found improvements in HbA1c (an important indicator of blood glucose level); six-meter walk test and total cholesterol in both the control and Tai Chi group. Improvements in physical and social functioning were found in the Tai Chi group. Fifty-three people who fulfilled the study criteria were randomly divided into a Tai Chi (28) and control group (25). 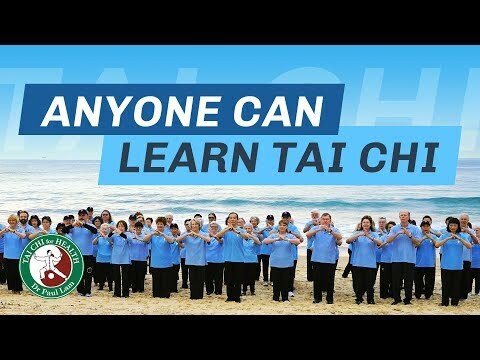 The Tai Chi group were taught the specially designed Tai Chi for Diabetes program twice per week for six months. The control group were given ten weeks of free lessons after the study. At six months, improvements in HbA1c, six-meter walk test and total cholesterol were not statistically significant between the groups. However, improvements were observed in physical and social functioning in the Tai Chi group from baseline to follow up. Many people joined Tai Chi classes after the study. The researchers believe that Tai Chi with its relatively low cost, easy accessibility and high adherence rate may be a useful part of the treatment of type II diabetes in the community. Tai Chi for Diabetes may be a useful introduction to greater physical activity. However, longer duration or increased number of Tai Chi sessions per week may be required to demonstrate statistically significant reductions in metabolic or cardiovascular parameters. The authors gratefully acknowledge the RACGP Cardiovascular Research Grant that supported this project.